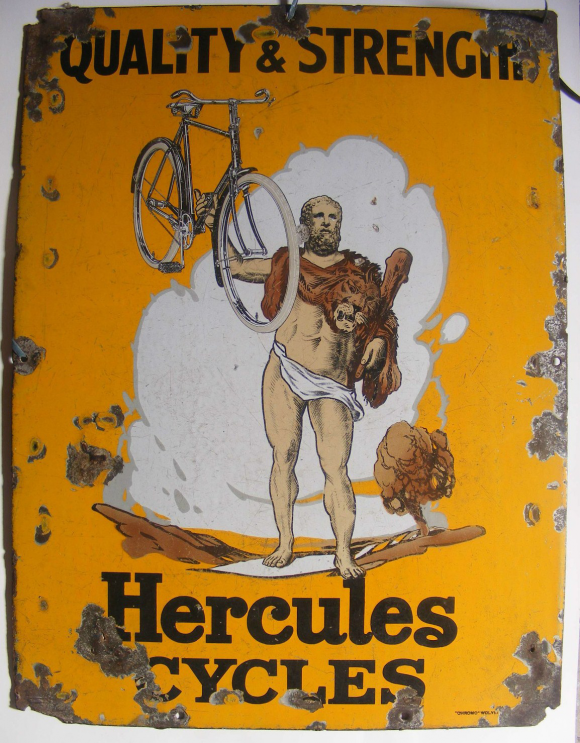 This is a rectangular Hercules Cycles porcelain sign. This particular Hercules Cycles sign is predominantly yellow with black text. It reads, “Hercules Cycles, Quality & Strength” and features Hercules wearing a lion skin and holding a bicycle with one hand in the center.